Nicknames are interesting. Some nicknames are given as a tribute to a person's gifts and abilities. Babe Ruth was called "The Sultan of Swat," for his ability to command his bat to hit home runs. Walter "Sweetness" Payton, a running back for the Chicago Bears made running through defenses look easy-- how sweet. President Zachary Taylor earned his nickname, "Old Rough and Ready" during the Mexican-American War leading his troops into battle. Of course, not all nicknames are compliments. Ivan the Terrible was not known for being nice and Vlad the Impaler earned his nickname for his excessive cruelty. There are other nicknames that persons earned, not for their deeds, but for their appearance-- Charles the Fat and Olaf the Peacock. Jesus himself gave his disciples nicknames, at least two that we know of. He referred to Simon as "Peter" (Rocky), and James and John earned the name "Sons of Thunder" for their judgmental ways (Mark 3:17). But one disciple has received a nickname from the judgment of history, and it's not meant to be complimentary-- Thomas, Doubting Thomas-- as he is commonly known. Thomas was apparently absent when the resurrected Christ first appeared to the disciples. Upon hearing the news that Jesus had appeared, Thomas went into skeptical mode. 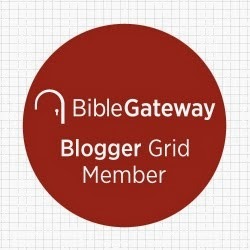 "Unless I see the mark of the nails in his hands, and put my finger in the mark of the nails and my hand in his side, I will not believe," Thomas declared his doubt with much certainty. Of course, he would have to eat his words in his own encounter with Jesus. 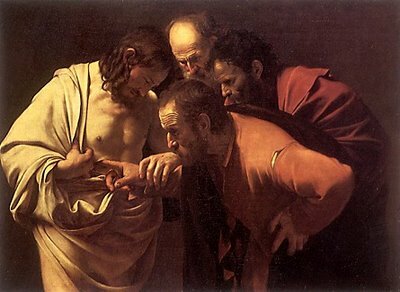 Indeed, John does not tell us that Thomas actually put his finger in the nail marks, nor put his hand in Jesus' formerly pierced side. Apparently the sight of the risen Jesus was more than sufficient. But the nickname "Doubting Thomas" has dogged the briefly skeptical disciple for two thousand years, and it is not really fair to characterize this faithful follower of Jesus, whose initial skepticism has labeled him for all time. I think it also says something about how we view the place of doubt in the midst of faith. It may indeed be the case that those who do not see and yet believe are blessed, but Thomas is no less blessed for insisting on seeing and touching Jesus; after all, he did stick around with the other disciples to see if Jesus would show up. That is exercising faith in the midst of doubt. Perhaps it is time to give Thomas a new nickname-- how about Daring Thomas-- the one who dared to express his doubts when the other disciples would not. They had their doubts as well.